After a week in Paris and a week driving around Great Britain, Kim and I moved on to the third leg of our European adventure. 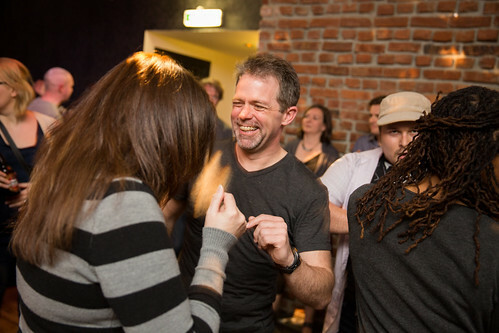 We flew to Oslo for a four-day crash course in Norwegian culture. The real reason we were flying to Norway (and the entire impetus for this trip, actually) was to join Chris Guillebeau in celebrating the completion of his quest to visit every country in the world by the time he turned 35. 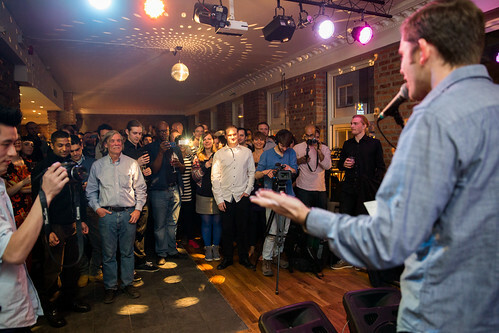 His 35th birthday was April 7th, and a couple hundred friends and colleagues gathered to congratulate him for finishing his ambitious global adventure. 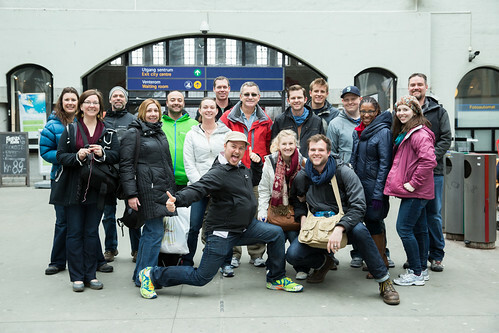 Before the big party, though, a smaller group took a two-day train tour (called “Norway in a Nutshell”) from Oslo to Bergen — and back again. 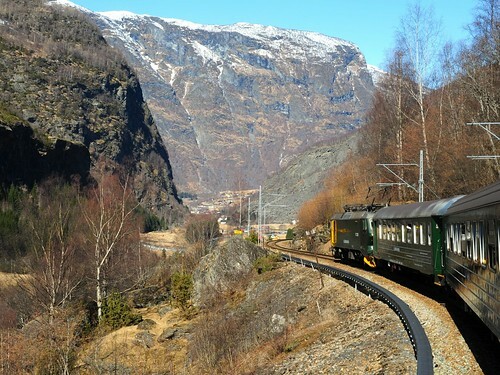 The train from Oslo climbed the mountains to the western side of Norway. We saw lots of frozen lakes, snow-covered mountain cabins, and frosty fields. Eventually, we transferred to a second, smaller train for the descent to sea level. There, we boarded a ferry to take us through a majestic fjord to nearby Bergen, where we spent the night. 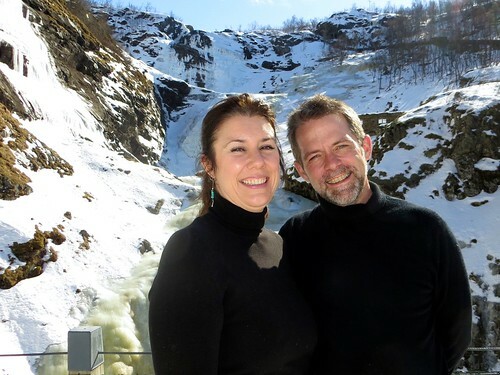 While in Bergen, Kim and I met with Henrik Larsen, a long-time reader of Get Rich Slowly. Henrik runs a very successful Norwegian financial blog and is a charming fellow. He spent several hours showing us his home town, leading us through the streets and up the funicular for a panoramic view of the city. J.D. and Henrik at Fløien, Bergen. 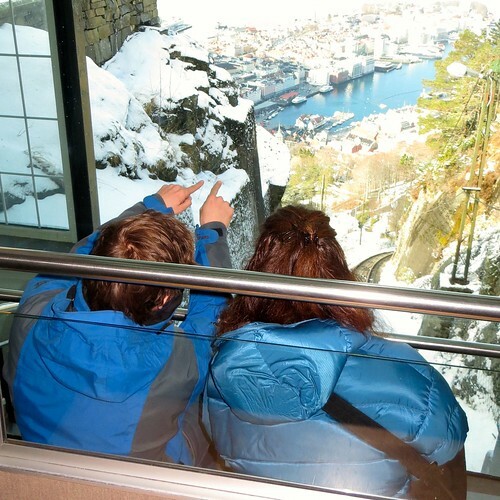 Henrik points out parts of Bergen to Kim as they ride the funicular. Back in Oslo, we had time for a single morning of sight-seeing. 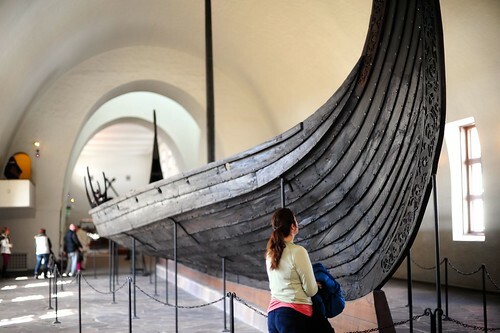 We took in the Viking ship museum and the Kon-Tiki museum, but didn’t have time for anything else. 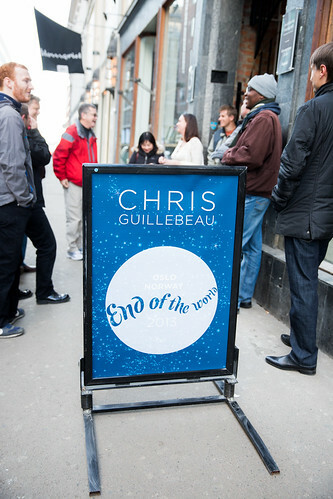 In the evening, we joined a bunch of other folks for Chris Guillebeau’s “End of the World” party. I don’t have a lot to say about Norway. Our time there was brief, and we didn’t get to do much. We enjoyed the time we spent with Henrik, but to be honest, the rest our interactions with people weren’t that great. That’s unusual. 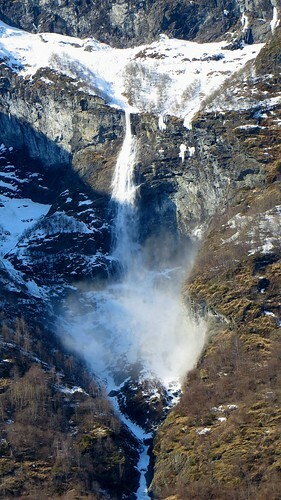 We had many great experiences on our trip, but Norway was the exception. Maybe we need to see it in the spring or summer, when the landscape and the people have had a chance to thaw. Sorry it was not the experience you hoped for. I rode a motorcycle from the North Cape down to Oslo last summer and had my hopes high as well but was disappointed in the people. I found them a bit arrogant, closed, only interested in making as much from tourist money as possible until winter comes back and their income is gone. The country was incredibly expensive and most hospitality businesses did not even offer good value for money. We asked for the price of a night in a small cabin like the ones in KOA. $200 a night, “but we wash the sheets. Other places leave the same the whole summer”! The usual rate was $120 in other places, which was really high too, and sure, the mattresses didn’t even have sheets. Was thrilled to see you did the “Norway in a Nutshell” trip. Even though it is a bit touristy, the scenery is just fantastic and I recommend it to everybody. I did it several years ago with my daughter. We stayed a night in a little cabin in an apple orchard in the little town of Flom (sp?) at the bottom of the steep train ride down the mountain. 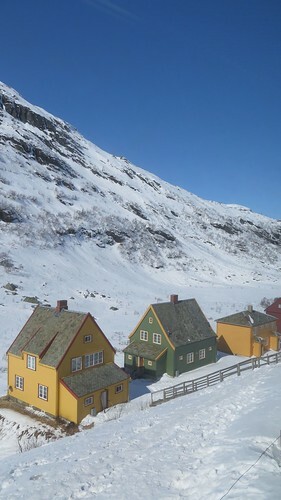 Scandinavia is not cheap but we paid hostel prices for the cabin. Thanks J.D. and Kim for all the great pictures and commentary. Norway is beautiful, in spite of the high prices. Looking forward to visiting you both and hearing more about your trip. Will be at Doug and Jenn’s on the 18th of April for the baby shower. It looks amazing – sorry the general atmosphere wasn’t as welcoming. Congrats to Chris! 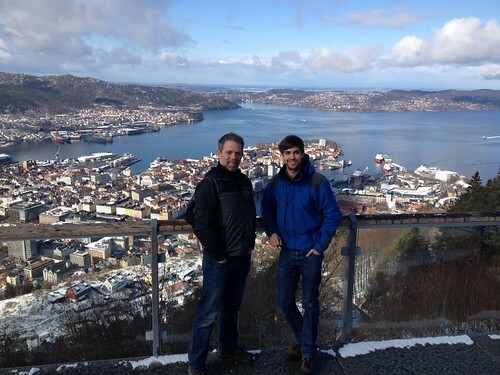 I’ve had the opportunity to visit Norway numerous times for my employer. 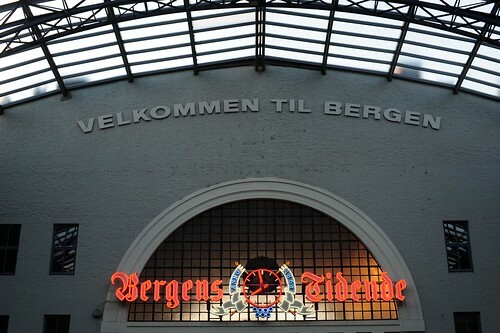 Usually in Oslo and Kongsberg (old mining town). Met wonderful people and enjoyed long evening meals outside in the summer. A reindeer steak is excellent! Had the opportunity to take long drives in the upper elevations on weekends. I’ve been to the museums you mentioned as well as the military museum in Oslo, the Oslo symphony, Kongsberg mining and skiing museums, and hydro generating station to name a few more. They “queue-up” at the post office and liquor stores. It is, without a doubt, expensive for a tourist. It’s interesting to see, and hear, the many liquor bottles that residents bring back with them on flights from europe due to their high level of taxation. I guess that since I knew local residents, I’m past the “getting to know you stage.” They are, as a society, very independent and fiscally responsible. They wouldn’t have the “wealth” they enjoy today if it wasn’t for finding oil in the north sea. 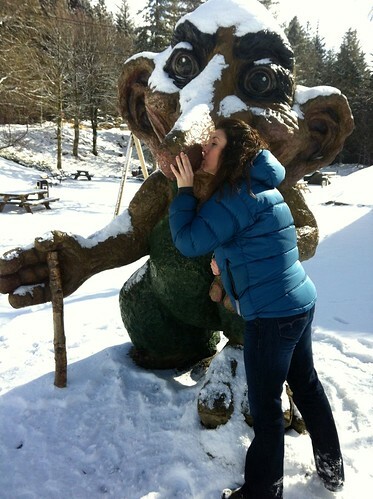 Still, those photos from the “Norway in a Nutshell” trip are amazing. Would certainly put Norway in our future destination. 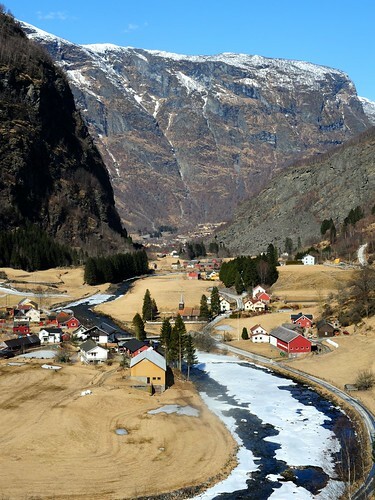 I recently decided that I too want to travel to Norway. The pictures look pretty cool. 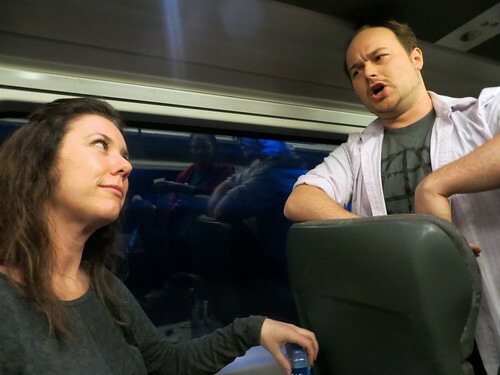 I think what you said about the people was really interesting to me also. I have found that for me often the people make one of the biggest impacts on how I feel about trips long after I return. I’m glad you are both having a great time. Norway looks like a beautiful place. That party looked fun too. Just a comment to Henriks reply. I think the Nowegians are not so open because of our 1500 year and longer history with small, closed communities especially on the western and northern part. They had a very rough life to keep themself alive. After 500 years of Danish and Swedish rule they also learned not to trust everyone at first sight. But if you get a norwegian friend, he will stand up for you.